Instead of changing laws, Congress has passed budget measures that prevent the Department of Justice from going after pot growers. In this regard, Congress shamelessly joined many states in selectively choosing which laws should be enforced. However, this new ruling is a victory for federal law which could put a damper on the burgeoning marijuana industry. Many people consider the Ninth Circuit Court of Appeals which rules California and other Western states the most liberal circuit court in the country. A Silent Poison details how growers in Northern California are destroying the environment and public lands. 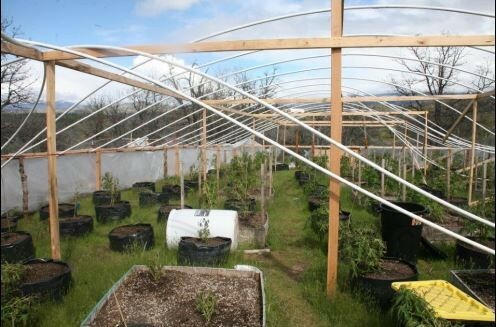 Some pot growers use and abuse federal lands under the guise of producing “medicine.” Two California counties have called a “state of emergency” and asked for help in dealing with the illegal growers. Two of the biggest lies used by the pot industry uses to justify legalization are: 1) legalizing will keep marijuana out of the hands of children, and 2) legalization will destroy the black market. We have never had more powerful evidence to the contrary. According to the latest National Survey for Drug Use and Health, NSDUH, states that have legalized marijuana in some form have the highest youth use rates in the nation. A chart from the NSDUH summarizes the 2015-2016 survey. This information is one of the most powerful documents expose the lies of the pot industry. Recent government action reveals that legalization doesn’t destroy cartels. 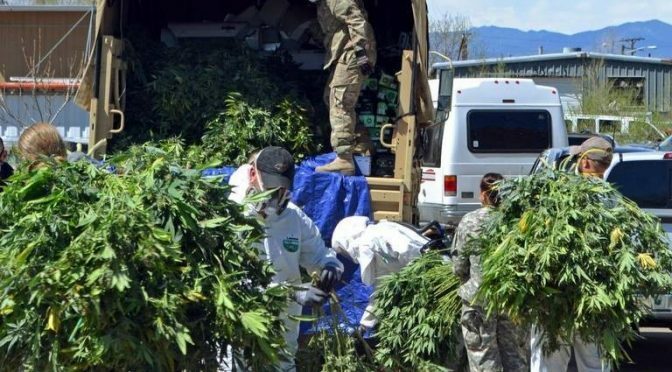 In Sacramento, California, hundreds of federal agents and local law enforcement officers executed search warrants at approximately 74 houses and two related businesses that were being used to grow marijuana. Simultaneously, civil forfeiture actions were filed against more than 100 houses purchased by Chinese gangs with money wired from Fiji. So far, 61,000 marijuana plants, 440 pounds of processed marijuana, cash and 15 firearms have been seized. California legalized pot for medical purposes more than 20 years ago and completely failed at regulating it. The foothills and mountains of California are overrun by drug cartels that destroy the environment. These cartels produce enormous quantities of marijuana that is shipped across the United States and elsewhere. In fact, when states legalize marijuana and sanction certain growers, the illegal growers can hide behind the “legal” growers. (“Legal” refers to growers who are legal under state laws but not federal law.) The legal market is a front for the illegal market which can confuse law enforcement. California gives the most compelling evidence of the lie that legalization destroys the black market.